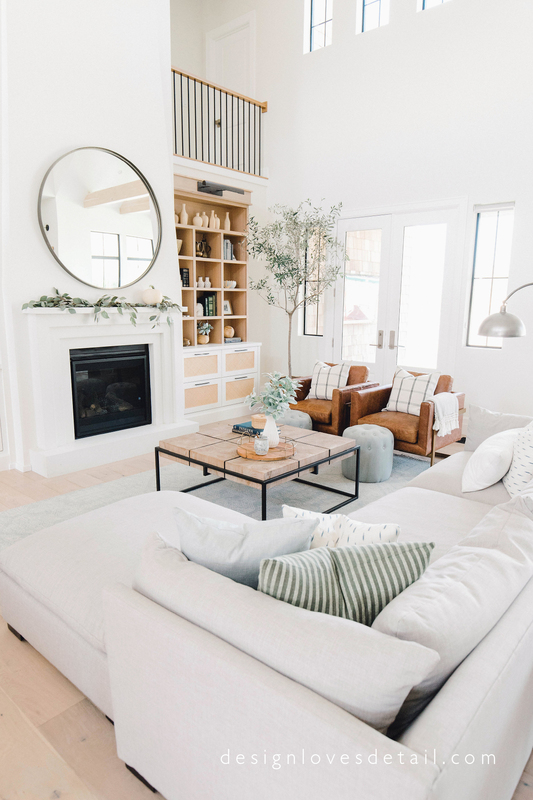 Shop this budget-friendly collection of neutral accent chairs, perfect for a livable space with simple, modern style. 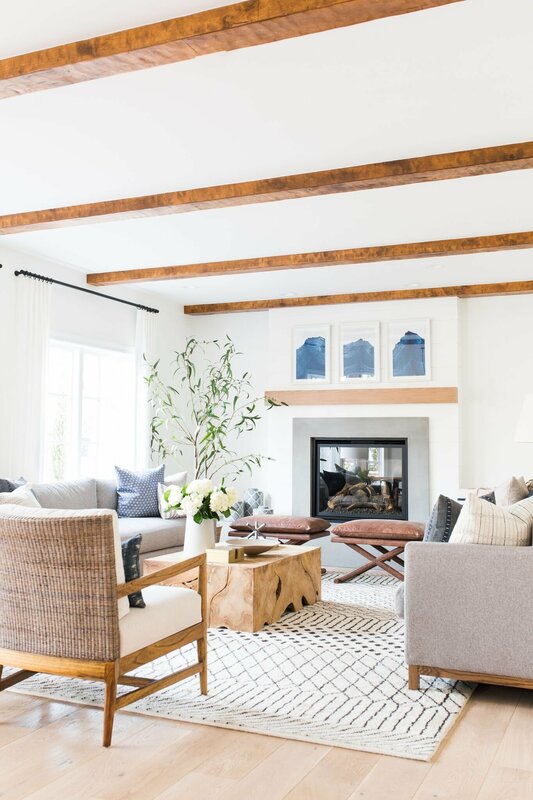 I love the warm wood tones, neutral textiles, leather accents and airy greenery. So livable, cozy, and welcoming! Recently we sold our hand-me-down blue overstuffed armchair that we received for free as newlyweds. It served us well, but I was so ready to see it go! Of course, as a list-maker and research fanatic, I had to spend weeks hunting for our replacement chairs. They needed to be comfortable, sturdy, and match the casual style I am hoping to create. Of course, they also had to be budget friendly! If you follow me on Instagram, you already saw a sneak peak of the chairs we chose, but I’ll be sharing a post soon! 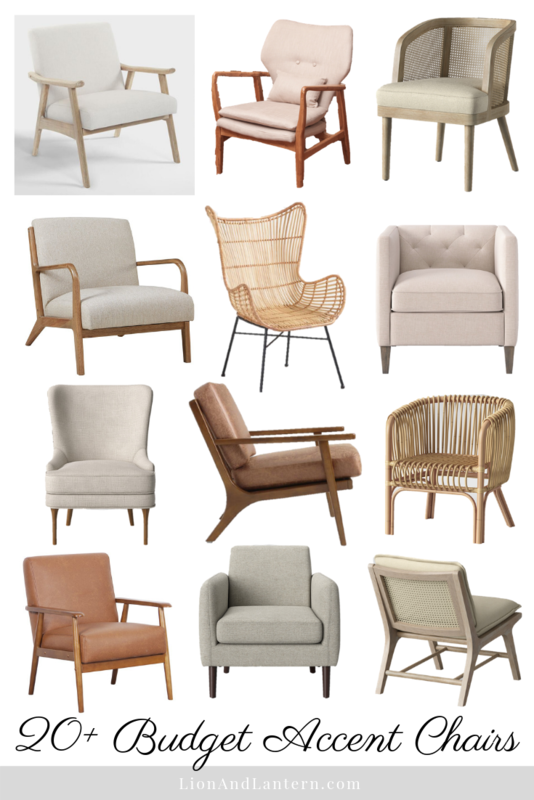 For now, I wanted to share this collection of casual, modern, and budget-friendly accent chairs I discovered during my research 😉 Just click the photo to go directly to the product page! The post contains affiliate links. 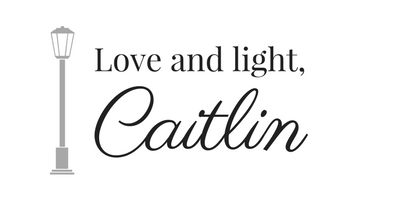 For my full disclosure policy, click here.